It represents aesthetic shapes, clever innovations and trend setting ideas: the desired and internationally recognized Red Dot Design Award. 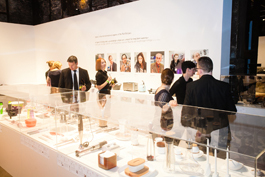 The world of design came together in Essen on the 7th of July in order to honour the winner of the Red Dot Award: Product Design 2014 together. 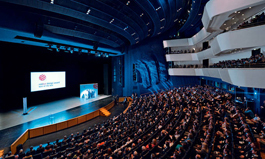 More than 1,200 international guests travelled to the Aalto theatre for the glamorous ceremony and afterwards celebrated the Designers’ Night in the famous Zeche Zollverein. This has a long tradition: The design center Northrhine Westphalia marks internationally exceptional product design with the famous dot since 1955. Manufacturers and designers of different products are able to prove they skills in 19 categories. This year’s Red Dot competition received a total of 4,815 presentations, which is a new record. The Red Dot jury started to prove the works of numerous designers with 40 experts in spring of 2014, deciding to honour 72 times with the highest title “Red Dot: Best of the Best”. The experts jury took in mind the innovation, functionality, formal quality, ergonomics, longevity and environmental friendliness when they tested the presented works. 1,120 products were honoured for excellent product design in 2014 and 123 received the “Honourable Mention”. The special exposition "Design on Stage – Winners Red Dot Award: Product Design 2014" is still viewable until the 3rd of August of 2014 in the Red Dot Design Museum (Gelsenkirchener Street 181, 45309 Essen).